After a more informal family home evening last week, I returned back to my prior lesson series based on the Gospel Principles manual. This week I based the lesson on chapter 34, Developing Our Talents. 1. Ev'ry star is diff'rent, and so is ev'ry child. Some are bright and happy, and some are meek and mild. Ev'ry one is needed for just what he can do. You're the only person who ever can be you. Follow the commandments that come from God above. I can help another to learn to choose the right. Having faith and courage will let my star shine bright. Shine right where you are, brightly! Lesson: We all have special gifts, talents, and abilities given to us by our Heavenly Father. When we were born, we brought these gifts, talents, and abilities with us. Some of us can sing well or play an instrument. Others of us may be good in sports or able to work well with our hands. Other talents we might have are understanding others, patience, cheerfulness, or the ability to teach others. We have a responsibility to develop the talents we have been given. Sometimes we think we do not have many talents or that other people have been blessed with more abilities than we possess. Sometimes we do not use our talents because we are afraid that we might fail or be criticized by others. We should not hide our talents. We should use them. Then others can see our good works and glorify our Heavenly Father (Matthew 5:16). We can develop our talents! To do this, we must first recognize what our talents are either by discovering them ourselves, asking others, or praying to know what talents we have been blessed with. Second, we must be willing spend the time and effort needed to develop them. Third, we must have faith in ourselves and Heavenly Father that we can develop these talents. Fourth, we must learn the skills required for the talent either by taking a class, learning from someone else, reading a book, etc. Fifth, we must practice, practice, practice! Finally, we must share our talent with others. 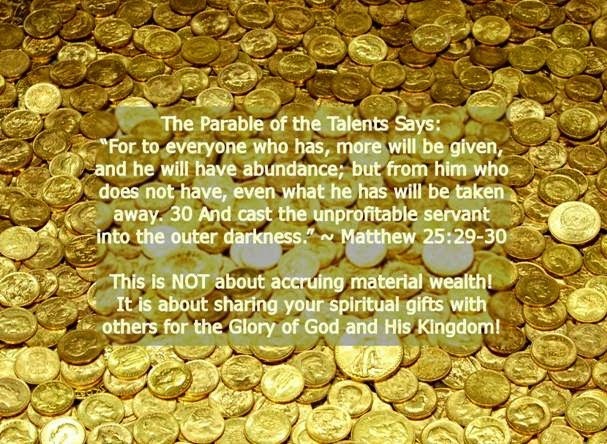 It is by our using our talents that they grow (Matthew 25:29). We can even develop our weaknesses into talents through hard work, determination, and faith. The Lord will bless us if we use our talents wisely. The Lord is pleased when we use our talents wisely. He will bless us if we use our talents to benefit other people and to build up His kingdom here on earth. Some of the blessings we gain are joy and love from serving our brothers and sisters here on earth. We also learn self-control. All these things are necessary if we are going to be worthy to live with our Heavenly Father again. Activity: I used the parable of the talents as my inspiration for this activity. 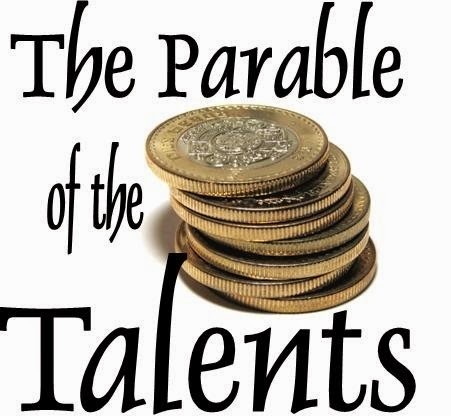 Since a talent from Biblical time also refers to a measurement of coins, I decided to make my own talents. 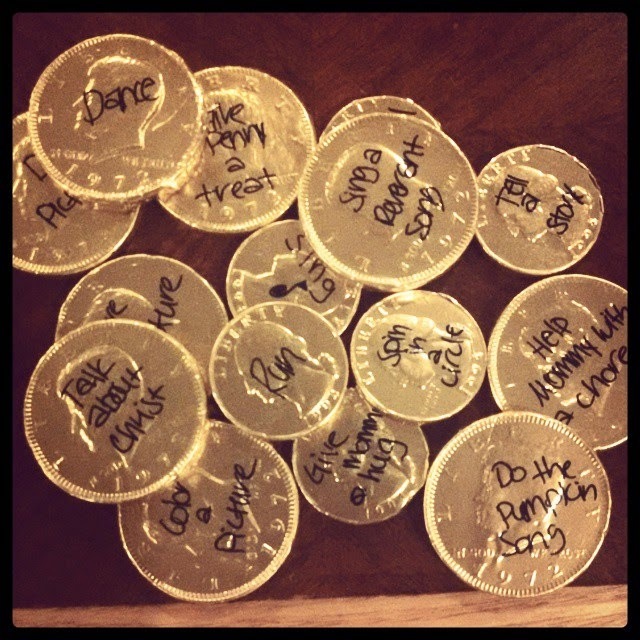 I took candy coins and wrote different activities (or talents) on them. I grabbed two of June's stuffed animals. Then I placed five talents in front of June, two in front of Minnie Mouse, and one in front of Baby Hippo. I told June that she needed to perform each talent if she wanted to keep it. She happily did so. She sang a song, did a dance, gave our dog a treat (kindness), gave me a hug (love), and colored a picture. As she did each talent, I gave her the chocolate coin and she could eat it. Since she shared her talents, she got five more! Then I had her Minnie Mouse perform each talent, and I gave her another two talents. But, when we got to Baby Hippo, I had her refuse to share her talent. So, I took it away and gave it to June. I told her she got to have the talent since she showed me that she would use it. Then, she enjoyed the blessings of sharing her talents by eating all the chocolate. June shared all the talents she was given, so she got even more! June really liked this activity. Really, anything that involves playing a game and eating candy is a hit with her. But, this one went especially well. 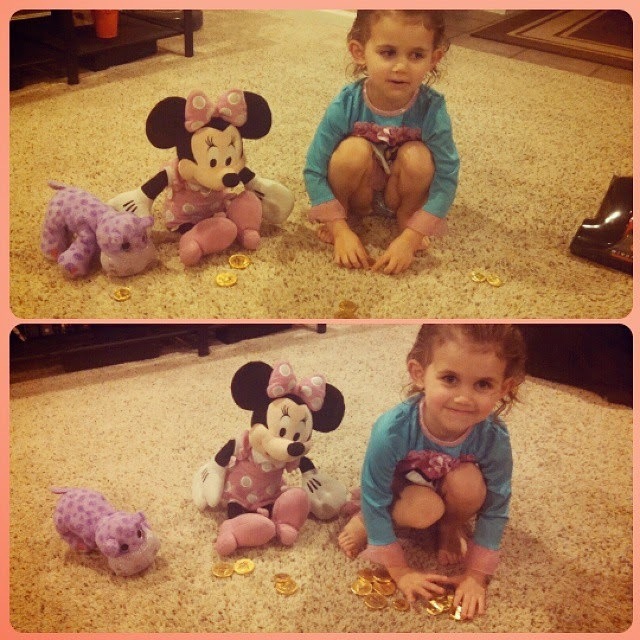 Even after eating all the coins, she still wanted to share her talents.